Armed PF thugs attacked a UPND campaign team in Sinda this evening firing live ammunition on the opposition team that included former Sinda Member of Parliament Levy Ngoma. Amid the confusion the vehicle in which Hon Ngoma was overturned as they were fleeing from the PF attack. The condition of the people who were on board is not yet known as they evacuated from the area as PF guns were blazing. Earlier in the morning the PF attacked the UPND campaign crew at Sinda Council when they went to get accreditation for their polling agents and party officials. 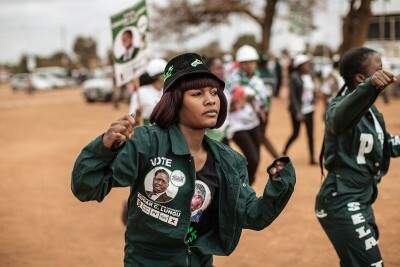 The PF has resorted to violence as they are finding it hard to campaign in Sinda ahead of the local bye elections as residents of Chiwuyu in Sinda have been shunning PF meetings.